Microsoft Office 365 for Businesses was released yesterday and with Microsoft tailoring solutions for everyone, it can be a little difficult to find the perfect match for you. Microsoft Office 365 for Business was officially released yesterday by Microsoft India at a press event. While the average consumer has had access to Office 2013 and Office 365, business consumers had been devoid of an enterprise level solution up until now. While Office 2013 is a standalone solution that can be quite expensive because of its single user license, companies are going to love what Microsoft is dishing out as part of the Office 365 package, which is broken down into various tiers. We’re going to take a look at how Office 365 is different from the regular version of Office 2013 and Office 365 for consumers. While Office has come to be synonymous with Word, Excel and PowerPoint (okay, the occasional Publisher too), but that is generally the utilities used by us regular folk. Enterprises often require more in terms of connectivity and productivity and that is exactly what Office 365 for businesses brings. Along with the standard tools, we also have Exchange Online, SharePoint Online and Lync which will allow companies to maximize their productivity. While Office 365 for consumers comes with a 5-PC installation clause, the Business version of Office 365 gets to enjoy licensing for anywhere between 25 to 300 users, to unlimited number of users. Could Microsoft 365 replace Office 365? Microsoft Office 365 for Businesses is apparently made for everyone. Microsoft has really spent a lot of time in breaking down the size of various businesses and just what their needs may be. Aptly named, the three variants are for Small Businesses, Midsize Businesses and Enterprise. Subscriptions start from $6/month (per user) or $60 a year all the way to $20/month. The variance in price is definitely based on number of users allowed per segment, but also based on the fact that some of the variants of Office 365 for Businesses come with the desktop version of the common Office tools like Word, Excel, Outlook etc. This means, freedom from the “must be connected to the internet” clause that Office 365 comes with and will be great for those who often travel to regions of the country where internet access is still a dream. For a better breakdown of what the various plans and pricing for each respective plan is, you can refer to Microsoft's business plans (Small Business, Midsize and Enterprise). Microsoft Office 365 for Businesses comes in a total of 7 flavours. Generally, most businesses would end up going for one of these plans, but if you’re the kind who has a lot of employees and a lot of cash coupled up with the penchant to have it all, then Microsoft has an Enterprise Plan (E4) ready for you. It would cost you $22/month for each user you bring on board. The best part about the Office 365 program is that for every user can install his copy on up to five machines, which could even include mobile devices, depending on which package your company decides to go for. Spending big cash to migrate to a new system is always a risky proposition, but Microsoft has brought some really amazing features to the tablet. For starters, there is the ability to install each user license on five machines. This means each employee gets to have Office on his work machine, along with whatever number of home machines. 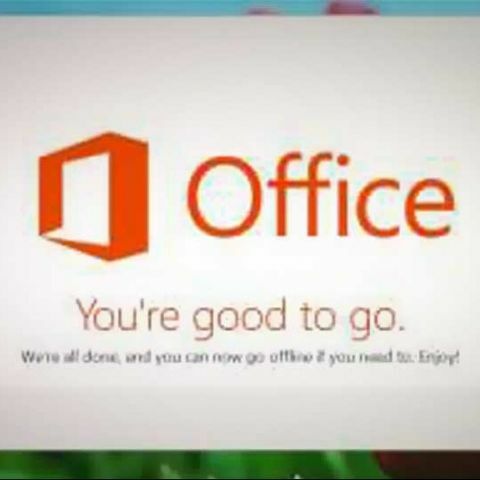 Next up is the desktop version of Office. One of the limitations of Office 365 is that it requires an internet connection at all times to stream features. Going for a Small Business Premium or Midsize Business plans (or the various Enterprise ones) will also get you access to the desktop version of the Office Suite, meaning that if you travel to far flung regions of the country, or spend a lot of time flying, this is a major plus. Office 365 will also bring the productivity suite to your mobile devices like Windows Phone 8 devices and Windows 8 RT and Windows 8 Pro tablets. Rumours of an iOS version of the Office Suite have been around for a while now, so it’s entirely possible that you could run Office even on the iPad. Last but not the least, Microsoft is offering a 99.9% financially backed uptime for its service, which means, that Microsoft is going to make sure that the services bundled with each package of Office 365 never experience any downtime. At the end of the day, Office 365 for Businesses looks like it has something for everyone. Small businesses could find the $6 monthly fee a little on the steep side, but the bigger businesses should find the Medium Size Business plan to be extremely rewarding. Which one is better Microsoft office or Open office? I want to know about it. When will we expect the launch of honor 9 in india? when will be microsoft lumia 640 dual sim available in india for sale? What are the best printers available for office use?